We encountered the very small to the substantial during an in-depth tour of the SSSI Sugar Fen, near Grimston, just outside King’s Lynn, this morning. 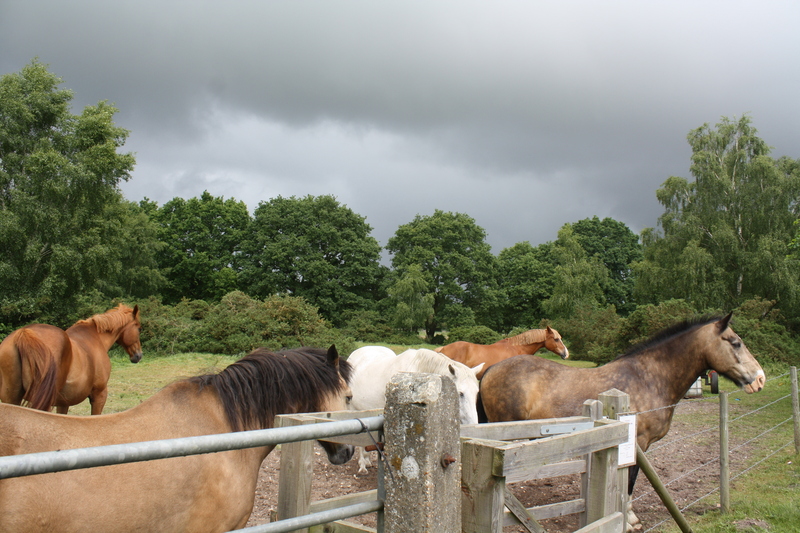 The very small included grasshoppers and the most substantial were the horses which were grazing the site. In between were lots of plants, some of which were real specialities. The site boasts three sections – acid grassland, a marshy, boggy area and a wooded area – and the Gaywood Valley Conservation Group, of which I am a member, was helping identify the plants. Our three-hour visit began with the acid grassland where we were shown by our expert guide from Norfolk Wildlife Trust heath bedstraw and sheep’s sorrel, both of which she said were indicators of acid grassland. 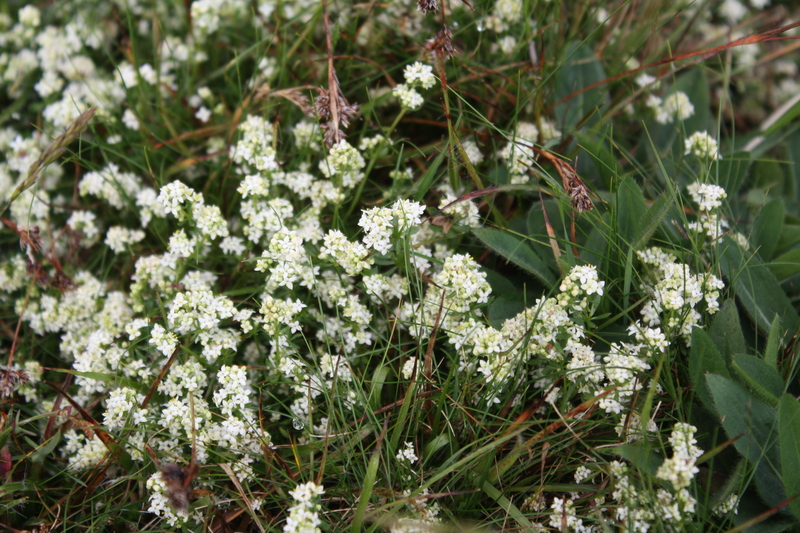 The white-flowered heath bedstraw formed beautiful clumps. We heard about certain grasses, sweet vernal grass, Yorkshire fog grass, fescue and also one called Good Friday grass as it appears around Easter. Flowers here included heath speedwell, tormentil, mouse-ear hawkweed, lady’s bedstraw, field mouse-ear and meadow saxifrage. 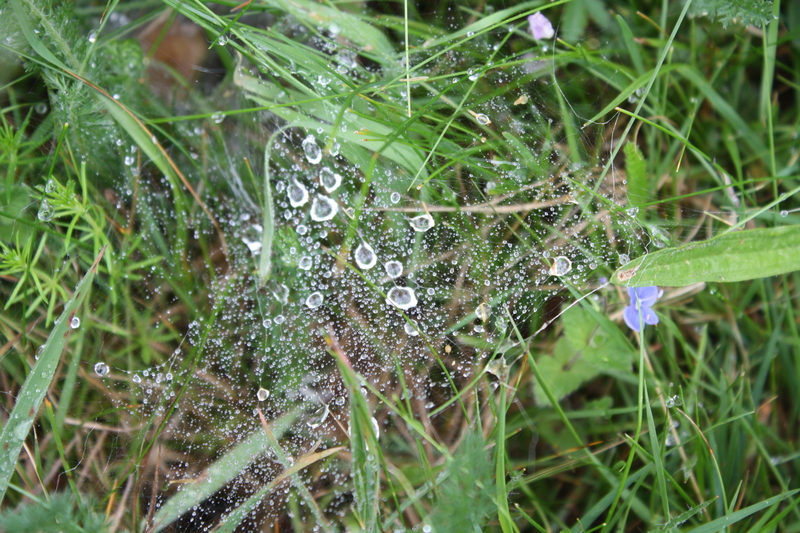 As we walked along, we disturbed lots of tiny moths which were hiding in the grass. As we walked to the wooded area, we passed by a section of the Gaywood River, a chalk river, which flows to King’s Lynn. In the wood were herb Robert, wood avens, ground ivy and climbing corydalis. As we made our way to the heath section, we enjoyed a tantalising glimpse of the white wings of a barn owl between the trunks of the trees as it flew along the neighbouring field. Cross-leaved heath grows here. The area became wetter and here we discovered polytrichum commune type moss found in wet, acid land. We squelched our way over sphagnum moss, amongst which was marsh pennywort – named because of the round shape of the leaves, which hide a minuscule flower. Dotted about was the bright orange round leaved sundew, a carnivorous plant which traps small insects via the sticky hairs on its leaves. 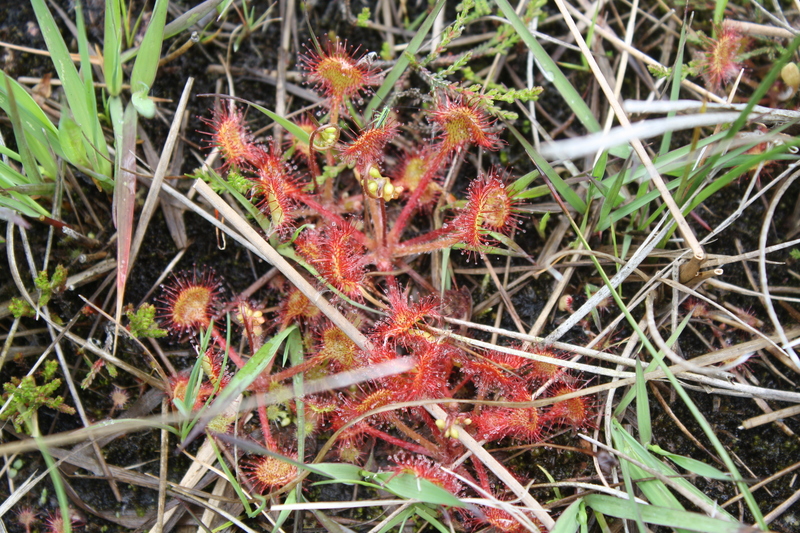 The sundew then produces enzymes to digest the insects with. I did not realise until I had a close look at my pictures that an unfortunate cricket had been caught by the sundew plant. Also in this area are heath milkwort and lousewort. On the marshy area, I spotted one or two grasshoppers. Marsh pennywort with tiny flower. An unlucky cricket has been trapped by this sundew. Over the whole SSSI the chiff chaff called his name. Early on, a buzzard soared over the grassland, at times almost disappearing against the dark, stormy clouds. Really we were lucky with the weather, suffering only a light shower part way through. The downpour came at the end of a very rewarding outing. The horses watch us leave.